In 2018, we formalised our Professional Mentoring Program within our community of Postgraduate students. This formalised structure resulted in a number of successful mentorships being established; the outcomes of each partnership were all different, yet equally positive in nature. It was clear we had achieved our aim – to establish a mentoring program that could be driven by the needs and preferences of individual participants, rather than offering a cookie-cutter approach that results in little more than a piece of paper. Some mentorships were shorter term and led to real work opportunities; others have become longer term relationships between mentor and mentee whereby conversations are had, case studies are analysed together, and a deeper appreciation for one another’s respective journeys has been developed. Feedback from mentors and mentees has been very encouraging. For our mentees, the gap between graduating and feeling prepared to take their first steps in industry is real! With our growing network of mentors, we believe we are well placed to help them gain inside knowledge and an understanding of what matters in the workplace, allowing them to transition, grow and adapt to change. We are now determined to push ahead with our goal to make this the strongest mentoring program of any residential college in Australia. In 2019, we are inviting Undergraduate residents and Sancta alumni to apply for new opportunities as they arise. It is intended that by the end of the year, we will have ample opportunities available for every student – past and present – who is seeking mentoring for their professional development. Bernardine was connected with Mahindra Ramani in 2018. 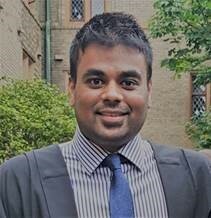 Mahindra is a Sancta Postgraduate student studying the Juris Doctor at The University of Sydney. Prior to his decision to undertake the JD at Usyd, Mahindra ran a successful landscaping business in Melbourne. 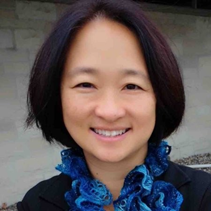 Bernardine Lai-Krauel is an international legal and business development consultant based in Minnesota, US. She is a Sancta Alumna from the Fresher year of 1986 and attended USyd. She recently commenced a new role in Client Relations and Client Development at a large US law firm, Faegre Baker Daniels. Faegre Baker Daniels also have offices in Shanghai and Beijing. Working with Bernardine is best suited to Law and/or Business students who are looking to develop a connection with a highly experienced lawyer and businessperson with extensive international experience and proven success on multi-million dollar deals and projects. Bernardine’s specialty is in cross-border transactions, requiring expertise in international and discrete domestic commercial laws and regulations. “If I can make one recommendation to every student at Sancta, it is to take full advantage of the mentorship program. Having a mentor is one of the most valuable relationships you will gain during your degree and entrance into the workforce. One of the best things about having a mentor like Bernadine is that when I am uncertain or unclear about something I can shoot her a quick email and get some tips and advice on a possible solution. One example of this was in December 2018 when applying for an internship at the Department of Justice. This program is open and available for all Sancta residents who are serious about their career development and want to establish/grow their network of professional contacts. A mentee does not always have to be partnered with a mentor who is working in exactly the same field the mentee aspires to, and mentees can certainly benefit from mentoring even if they are unsure of what they want to do in the future. For example, they may be interested in spending time with somebody who has a particular skillset (interpersonal or technical) that they want to develop, despite not wishing to work in their same field or profession. We are currently growing our pool of mentors. We are interested in hearing from Sancta alumni, supporters and friends regarding graduate opportunities and mentoring from almost every field imaginable (such is the diversity of our student body). To express interest in the Mentoring Program, please contact the Office of Marketing and Development via email or telephone.